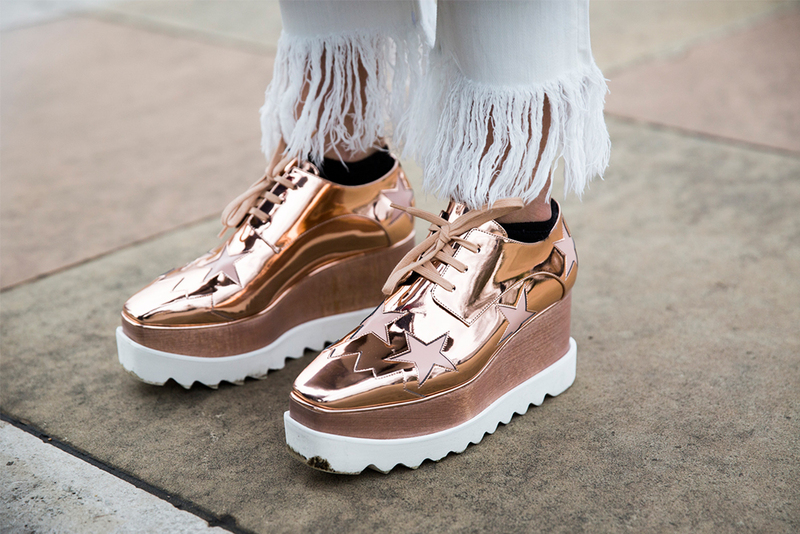 There is no shortage of cool metallic shoes right now. As well as space boots, designers have given creepers (cheers Stella) and loafers (Grazie Gucci) the midas touch. 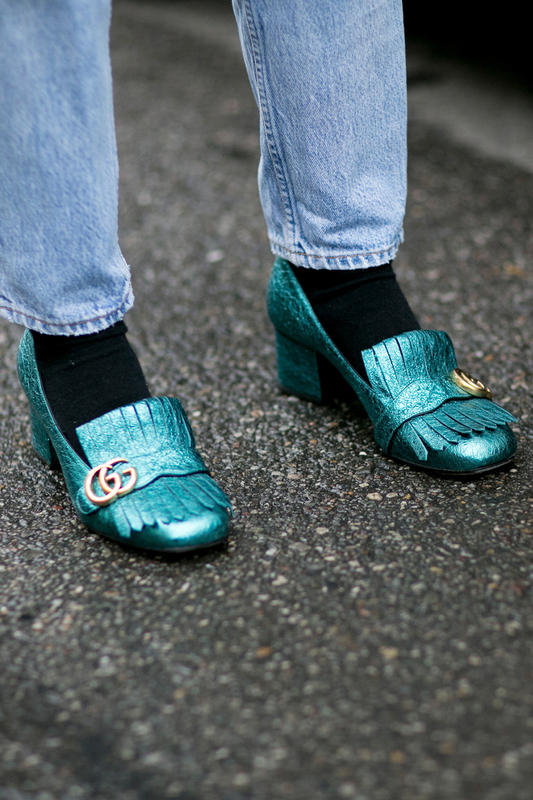 If you’re still a little tentative about trying this trend, shoes are the best place to start. And the high street is teaming with them so head to Zara, Office and Topshop for more affordable iterations on the runway offering. Pleated metallic skirts have gone from a summer micro-trend, to pre-fall’s most popular skirt style. If you haven’t invested in a silver pleated midi skirt by now, they are honestly one the handiest ways to elevate your workwear. Drab all-black outfits are not conducive to the summer heat, and can kill your vibe when your friends all want to go for after-works on a rooftop and you’re dressed like an undertaker. If you want to get ahead of the game, we predict smoother, ‘molten silver’ styles will be the next big thing. See below if you can’t quite get a visual from our explanation. If you’re feeling bold, why not try full-on metallics, either with a statement-making trench coat or a spacey silver jumpsuit. Burberry has you covered for a spacey trench, and ASOS have plenty of slick jumpsuits. 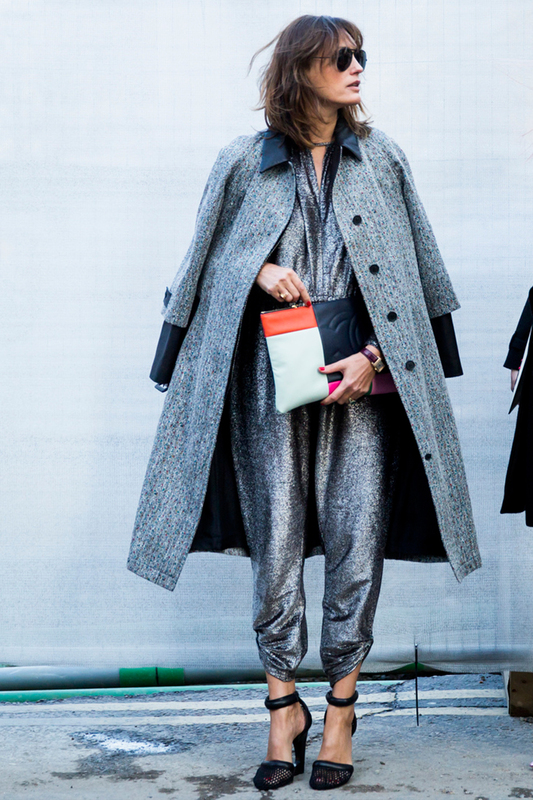 A metallic bomber is a slightly subtler take on silver outerwear. Moschino has an amazing version, or hit up Topshop and River Island for high street versions. 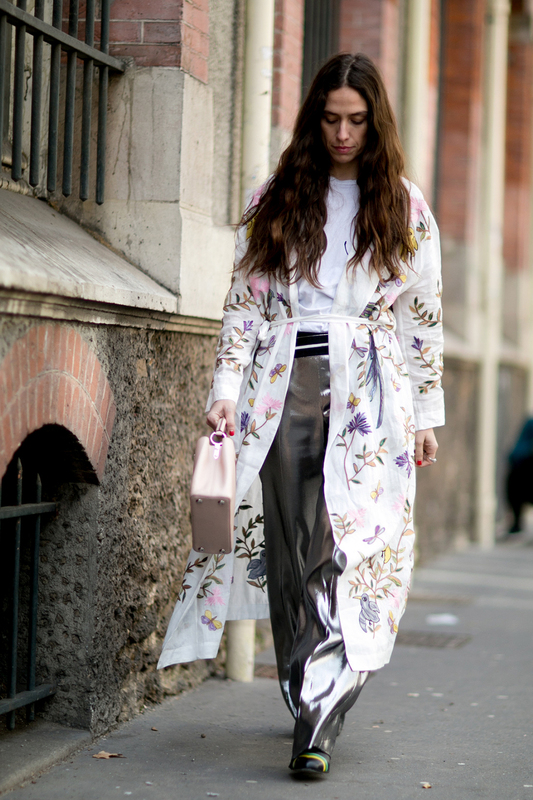 This Magda Butrym dress has become a street style star in its own right. It’s yet to hit stores (oh hurry up autumn/winter!) but the high street has plenty of silver slip dresses to fill the void until it does. To tone down its Christmas party overtone, do as the street style set do and wear it with stompy biker boots and a mannish tailored coat.